After seven films, we’ve learned to expect the unexpected from director Quentin Tarantino. 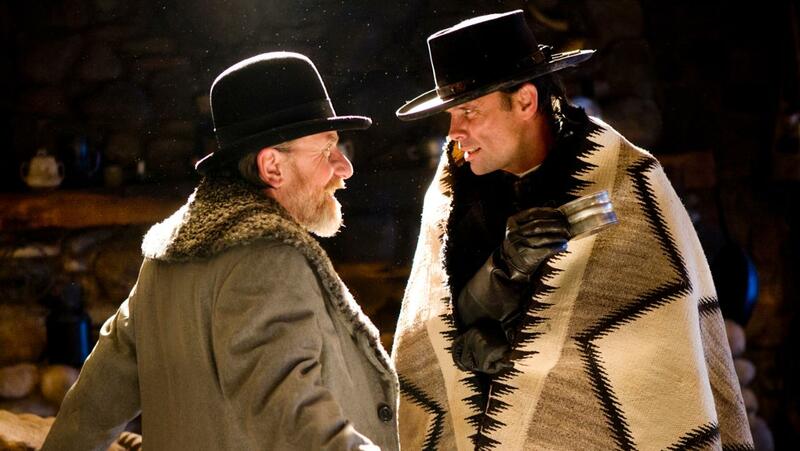 The Hateful Eight, his eighth film, proves the director still has one or two surprises in store for us. Originally envisioned as a sequel to Django Unchained, this is a sprawling, near three-hour epic, shot in a glorious 70mm format that been dead for nearly 50 years but takes place almost entirely in one room. It’s a film of contradictions and upended expectations, and for those with the patience it might be the most rewarding film Tarantino has made in years. 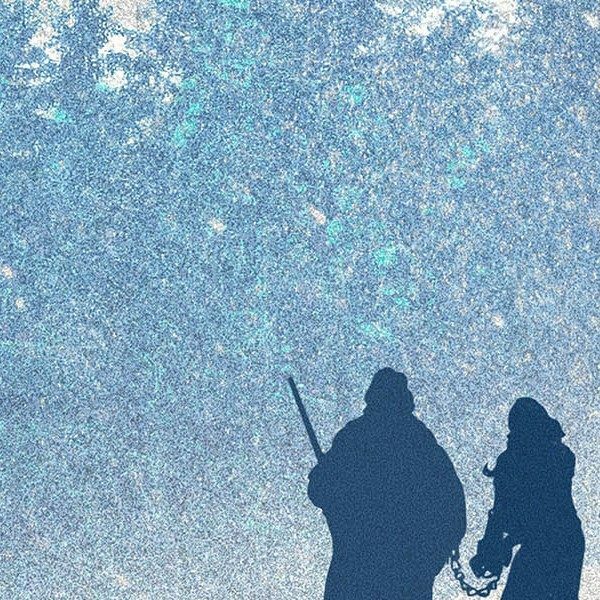 Set a decade or so after the Civil War, The Hateful Eight opens on a stagecoach racing through the Wyoming mountains with a blizzard hot on its tail. Inside is John ‘The Hangman’ Ruth (Kurt Russell), a bounty hunter bringing the enigmatic and profoundly crass Daisy Domergue (Jennifer Jason Leigh) to hang at Red Rock. Along the way, they pick up fellow bounty-hunter Marquis Warren (Samuel L. Jackson), an ex-Union major with a complicated war record, and Chris Mannix (Walton Goggins), an ex-Confederate raider who swears himself to be the new Sheriff of Red Rock. As you can imagine, tensions rise. The crew find themselves snowed in at Minnie’s Haberdashery with what can only be described as a menagerie of Western archetypes. There’s Bruce Dern as the ex-Confederate general Smithers, Michael Madsen as a cowboy whose outfit looks more Halloween costume than authentic Western, Tim Roth as Mobray, an English dandy- turn-hangman, and Demian Bichir as Bob the Mexican. It’s a lively crew of archetypes, but as John the Hangman notices almost immediately, someone isn’t who they say they are. Someone is looking to bust Daisy free. The performances of the eight are excellent. This is Kurt Russell’s second western of the year, after the equally gritty and odd Bone Tomahawk, and he feels right at home in his boots. Samuel L. Jackson is probably the closest thing the film has to a protagonist as he continues to collaborate with Tarantino flawlessly. Jackson’s counterpart and surprising standout is Walton Goggins, who had a brief role in Django Unchained but is given the chance to shine here. Goggins’s southern drawl and effortless bravado were made for the Tarantino universe and I’d be shocked if we’ve seen the last of their films together. Jennifer Jason Leigh is refreshingly nasty as Daisy, and Tarantino has almost a little too much fun beating her down, physically and verbally. Leigh spends most of the film bruised, bloodied, and with her teeth knocked out, but she takes and gives as good as the boys and that’s probably the highest compliment Tarantino levees at his female characters, for better or worse. The Hateful Eight might wear its Western roots on its sleeve, but it’s equal parts comedy of manners, noir mystery, and claustrophobic horror. With a setup like this, it would be reasonable to expect the guns to come out to play sooner rather than later, but that’s not what happens. Patience is the name of the game in Tarantino’s latest, who wisely forces us to wait with Ruth and Warren to see who makes the first move. But what a move it turns out to be. 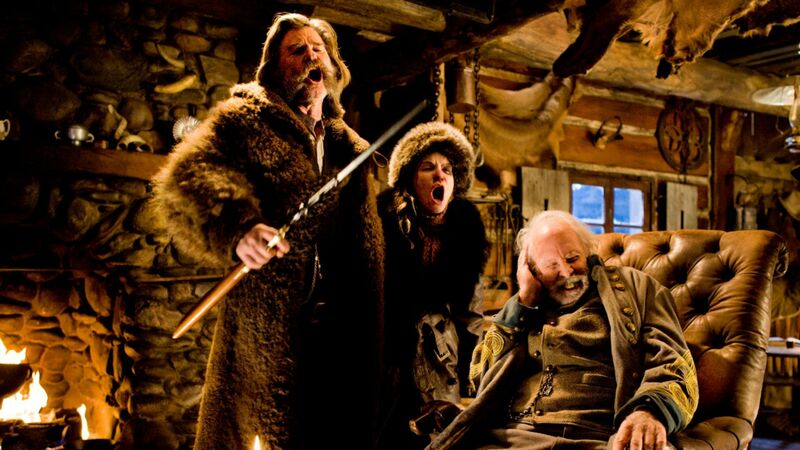 Make no mistake, The Hateful Eight is as bloody as you’d expect a Tarantino film to be, but the violence here has more weight. When the blood starts to pour, its filled with grit and grime and, quite literally, brains. Tarantino’s eighth film features some of his sharpest writing to date. The dialog here is razor sharp and as poetic as it is crass. And we’d expect no less from the man. What’s a bit more surprising is the level of subtlety and, dare I say, restraint the script shows. Tarantino’s always been a bit high gloss, and that shine is certainly still there, but its unmistakably cloudy. It doesn’t take long for the air of Minnie’s Haberdashery to be thick with racial epithets and tales of broken American promises. The America of The Hateful Eight is an open wound and these men are festering in it. Not all of Tarantino’s tricks come of so clean. The director’s self-reflexive tendencies don’t always feel at home here and, while the film’s numerous nods and homages are mostly subtle enough, a few stick out like sour thumbs. Michael Madsen’s performance is serviceable but he feels miscast, particularly in the 70mm production, which does him no favors. Zoe Bell’s brief cameo as Six Horse Judy comes feels particularly odd. The kiwi stunt goddess feels profoundly out of place here and feels like an unnecessary indulgence. Which is a shame, since The Hateful Eight is nothing if not self-indulgent, but often in the best ways. Speaking of self-indulgence, Tarantino’s use of the half-century old 70mm Panavision format pays off in spades. This is a film that should be seen on as large a screen as possible, and in its intended format. 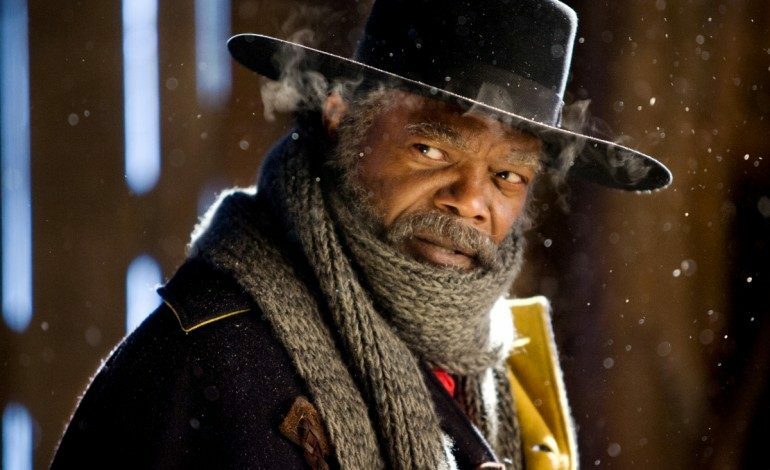 At first blush, it might seem a waste to use the format on such a small scale, and while I’d love to see a sprawling action film in this format, The Hateful Eight does a great job of putting it on display. Robert Richardson’s cinematography is exquisite. There’s a way that the film captures the detail on the actors as well as Yohei Taneda’s production design and excellent costuming by Courtney Hoffman that can’t be replicated by digital. If Tarantino’s argument is that film and digital can, and should, coexist, this film is a great first step. 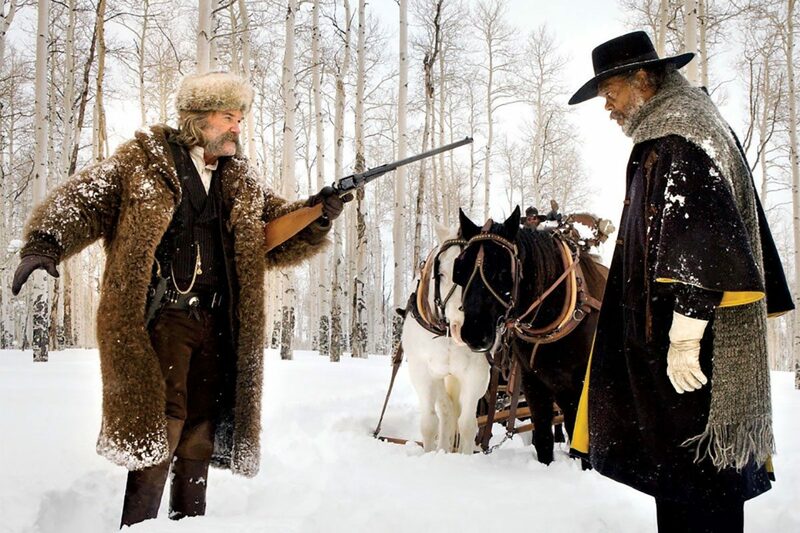 The Hateful Eight is probably Tarantino’s most challenging film to date. The film features some of the most potent racial politics of the year and feels particularly resonant right now. The film isn’t for everyone, and requires a level of patience modern audiences aren’t often asked to give. The 70mm version runs north of three hours with a 12-minute intermission, and features several additional minutes of footage. If you can, it’s the version you should see. The argument that Tarantino values style over substance is one that’s been levied at the director for years, and it’s almost always been a fair one, but not here. The Hateful Eight is a salient look at one of America’s darkest chapters, and into the hearts of hateful men. Tarantino’s films have always been entertaining, but his latest tale of hatred, betrayal, and redemption in America might be his most satisfying.